I would go with the 5k, still light and holds more line. I also agree with above and wouldnt give up on braid. There is a learning curve and most issues are user error. Have it spooled at a tackle shop so its tight on spool. With electrical tape as backing you should get 220-240 yards of 20lb braid. I prefer jbraid. Dont over spool, always turn bail over manually and hold line between fingers until you feel contact with lure. From time to time, squeeze spool. It should always feel tight and not mushy. Use a spro 80lb swivel to connect to braid, it will go right through tip without damage if you reel too far up. I like a longer leader so I can grab it and pull fish on boat. Instead of a net all the time. see if you can find a saragossa 4000 f in particular (the older style). been using one for years and years... love it. Okay maybe fireline is the answer. Still hate that leader I have to constantly work with... Maybe I'll just go super short on that leader (like 1.5 feet). I tried the knot-to-knot attachment as well but when that knots rubs against the rod guides in a cast, it loosens and I've lost a bunch of lures. I went to the Berkely FireLine website and found two kinds: FireLine Original and FireLine Crystal. What are the differences? Composition-wise, I believe them to be the same or at least very close. I would recommend the original based on my experience with it. 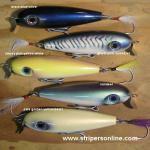 If you are tossing 1/2 to under 2 oz lures 14lb test would be the best choice. If you are tossing 1 oz and up you can get by with the 20lb test original. Fireline is thicker than braided lines and it's ratings and diameters are not in line with what we think of when discussing typical braided lines. It's actually a fused line - suffice to say it's different. Very strong and tough. Good luck if you try it out. I think you will be pleasantly surprised. 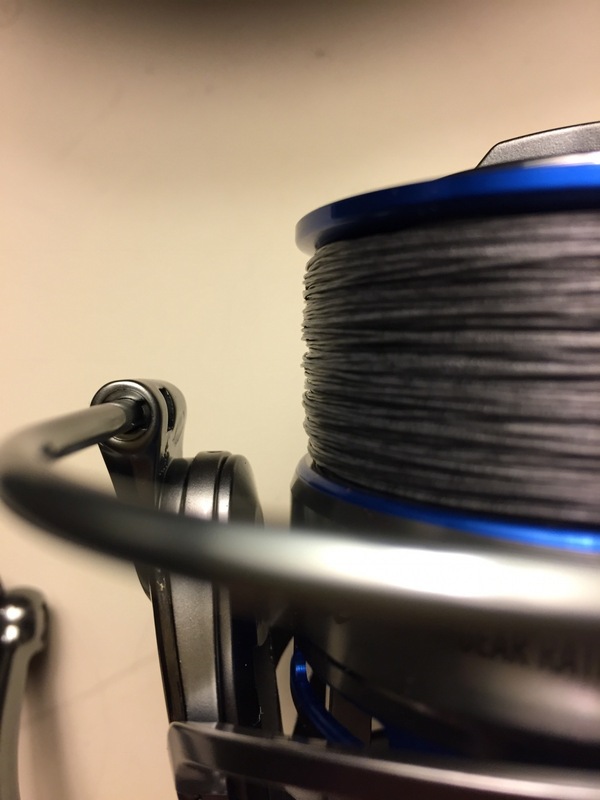 If it seems a little wiry when you spool it up do not worry. After a dozen casts it starts to soften up. It is a very easy handling line all the time even when new. Don't read into the "wiry" comment. It just has to break in for a short while. What problem do you have with a braid mainline to a mono leader? I'll try fireline 14 with a super short leader of mono using a Spro barrel. But may end up going 12-14lb mono. I use a Stradic 4k on a 7'6 MH St. Croix when pitching soft plastics off the beach and it handles bass just fine, I did install an eva knob but that's just personal preference. I use the 4000’s on talavera inshore rods on my charters. 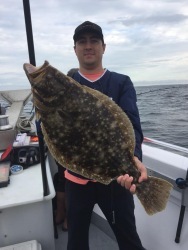 Fluke, topwater bass blues etc. it’s a great all around set up. I have 8 of them 4 4000 and 4 5000 for ocean bass and fluke. The 5000 would be over kill for sure. (All are for sale BTW) I have bass to 30# on my 4000’s and talavera 7’mh rods. I will say I have broken 3 medium action rods already on throwing small poppers, they are a good value but not built as well as the other brands. I would suggest the medium heavy talavera inshore at the $100 price point or a st croix tidemaster, mojo inshore or loomis inshore. If you are only buying one set up get the 4000 size and a loomis inshore 7’m rod, that’s a great set up. All of my shimano are for sale and I am replacing with all new daiwa saltiest back bays. Squammer, if you want to give 20lb original fireline a go I have some on an old line spool. I pulled it off the reel in the pic (4000 series tsunami) after having used it maybe ten times last spring. I’ll throw it in the mail to you if you want. Why don't you use knots such as the alberto or FG knot for tying braid to mono instead of using a barrel swivel. Thanks Lateral! I'll message you directly. Very nice offer! Are your Shimano reels for sale or rods (or both)? If reels, any link to the ad? I tried the knot-to-knot attachment as well but when that knot rubs against the rod guides in a cast, it loosens and eventually breaks. I've lost a few Hogey Paddletails this way. No problem! Packaged and should make it to post office in the next day or two.